World’s least realistic pool simulator, Pool Panic, has made its way to Nintendo Switch today in North America. The game will be out in Europe and Australia via Nintendo eShop on July 23, 2018 instead. Pool Panic offers tons of over-the-top games and activities to play with pool balls across a sprawling cartoon overworld full of cities, carnivals, jungles, deserts and more. Line up the perfect shot through over 100 levels of pool-based shenanigans featuring soccer, mini-golf, winter sports, summer sports, dive bars, night clubs, birthday cakes, ghosts, zombies, pirate ships, lollipop forests, and so many other things we can’t even put to words (we tried). As a mischievous cue ball in a giant game of pool, you’ll knock around a peculiar cast of billiard balls and solve puzzling challenges with an ever-changing variety of fun rules and mechanics. With so much to see and do, Pool Panic makes for an outrageous party game – play on your own or with friends in local multiplayer for two to four players! 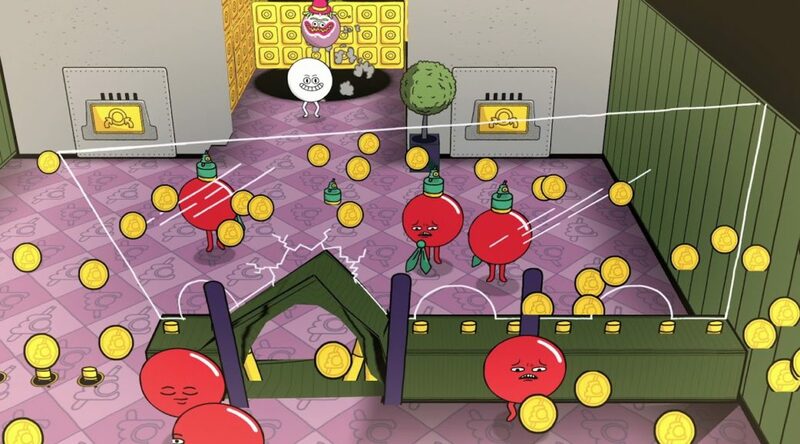 Let’s Play Pool Panic Live!, hosted with special guests by Adult Swim Games, will be featured as part of Adult Swim Camp at Comic-Con International this weekend. Free for fans 18 and over, Adult Swim Camp will offer exciting night programming today until Saturday next door to the San Diego Convention Center at 5th Avenue Landing and Convention Way. Let’s Play Pool Panic Live! will be streamed at www.adultswim.com/streams and https://www.twitch.tv/adultswimgames on Thursday, July 19, at 11 p.m. PT and Friday, July 20, at 10 p.m. PT.